Visual Communications is pleased to partner with the American Film Institute to co-present six award-winning films by international Asian directing talents at AFI FEST, which will run from November 8th to November 15th, 2018 at the Dolby Theatre, TCL Chinese 6 Theatres, the Egyptian Theatre, and the Hollywood Roosevelt Hotel. All tickets to all regular screenings are free. For more information about free tickets, Express Passes and Patron Packages (note that the Patron Packages come with an allotment of Gala tickets), visit AFI.com. Juliette Binoche stars in Naomi Kawase's latest, a meditative journey into the heart of Japan, and a mysterious portrait of one woman's search for meaning. When Jeanne (Binoche) seeks a rare medicinal plant in the forested Nara region, her quest is aided by a ranger who helps to reveal painful fragments of her past. The winner of the Palme d'Or at the 2018 Cannes Film Festival, SHOPLIFTERS tells the tender story of a family of misfits and grifters struggling to make ends meet. After taking in a girl off the street, a sudden incident upends their lives and exposes their secrets. Director Hirokazu Kore-eda returns to the screen with a nuanced class critique, and a beautiful portrait of family life. A getaway destination along the frozen Han River is the setting for Hong Sang-soo's latest, a simmering and melancholic family drama, lensed in stark black and white, about an aging poet facing mortality and his two competing sons who cross paths with a woman nursing the wounds of a scarring breakup. Jia Zhang-ke returns to AFI FEST with his latest sprawling masterwork. Centering on the struggles of Qiao (played by Zhao Tao), a gangster's girlfriend who spends five years in prison after getting caught up in a violent attack, ASH IS PUREST WHITE is a haunting, enigmatic portrait of individuals navigating China's new "capitalism" at the dawn of the millennium. Five lives collide in Cathy Yan’s quirky and comic debut — a bumbling pig farmer, a salon owner battling gentrification, an American ex-pat looking for success, a romantic waiter and a spoiled rich girl. 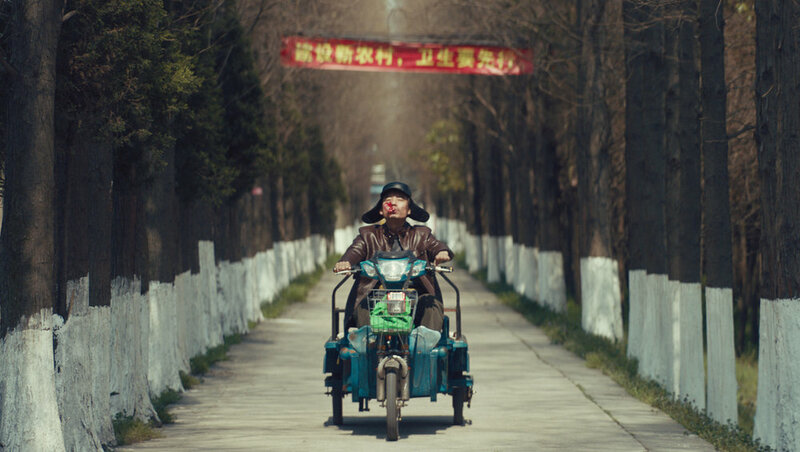 DEAD PIGS sharply examines a contrasting China, where modern culture clashes with the traditional. In Malene Choi's formally daring work of docufiction, the temporary residents of KoRoot — a Seoul-based guesthouse for transnational adoptees seeking information on their Korean birth parents — form a unique bond with one another while they process the intense emotions inherent in their journey of self-discovery. Presenting the 2018 Humans of VC!